Restricting caloric intake to 60-70% of normal adult weight maintenance requirement prolongs lifespan 30-50% and confers near perfect health across a broad range of species. Every other day feeding produces similar effects in rodents, and profound beneficial physiologic changes have been demonstrated in the absence of weight loss in ob/ob mice. Since May 2003 we have experimented with alternate day calorie restriction, one day consuming 20-50% of estimated daily caloric requirement and the next day ad lib eating, and have observed health benefits starting in as little as two weeks, in insulin resistance, asthma, seasonal allergies, infectious diseases of viral, bacterial and fungal origin (viral URI, recurrent bacterial tonsillitis, chronic sinusitis, periodontal disease), autoimmune disorder (rheumatoid arthritis), osteoarthritis, symptoms due to CNS inflammatory lesions (Tourette’s, Meniere’s) cardiac arrhythmias (PVCs, atrial fibrillation), menopause related hot flashes. We hypothesize that other many conditions would be delayed, prevented or improved, including Alzheimer’s, Parkinson’s, multiple sclerosis, brain injury due to thrombotic stroke atherosclerosis, NIDDM, congestive heart failure. Our hypothesis is supported by an article from 1957 in the Spanish medical literature which due to a translation error has been construed by several authors to be the only existing example of calorie restriction with good nutrition. We contend for reasons cited that there was no reduction in calories overall, but that the subjects were eating, on alternate days, either 900 calories or 2300 calories, averaging 1600, and that body weight was maintained. Thus they consumed either 56% or 144% of daily caloric requirement. The subjects were in a residence for old people, and all were in perfect health and over 65. Over three years, there were 6 deaths among 60 study subjects and 13 deaths among 60 ad lib-fed controls, non-significant difference. Study subjects were in hospital 123 days, controls 219, highly significant difference. We believe widespread use of this pattern of eating could impact influenza epidemics and other communicable diseases by improving resistance to infection. In addition to the health effects, this pattern of eating has proven to be a good method of weight control, and we are continuing to study the process in conjunction with the NIH. Has anyone heard about this, or about any negative aspects? I’m reviving an old post here, but I just stumbled across this article on fasting, which is interesting. It mentions someone who did a 382-day fast, which is difficult to believe. I wonder how many calories were in the yeast they fed him. My latest self-experiment is to stop eating somewhere between 2 and 5 pm and just ingest water until the morning (generally about 14-18 hours of fasting per day). Over the past few years, I’ve tried all of the types of intermittent fasting mentioned at the bottom, and I think there is something to it. Regularly taking breaks from eating—for hours or days—can trigger changes both expected, such as in metabolic dynamics and inflammation, and surprising, as in immune system function and cancer progression. Very interesting, Josh. Thanks for the link. Over the last couple of years - for health (as opposed to weight-related) reasons - I’ve done several 5-day fasts (1000 calories on day 1, 300-400 or so each day for the next five). I have always felt much more alert - physically and mentally - both during and after the fasts. I’m sure the science is sound on the beneficial effects, though no serious fast should be undertaken lightly and, depending on your health, it’s always advisable to check with your doctor first. 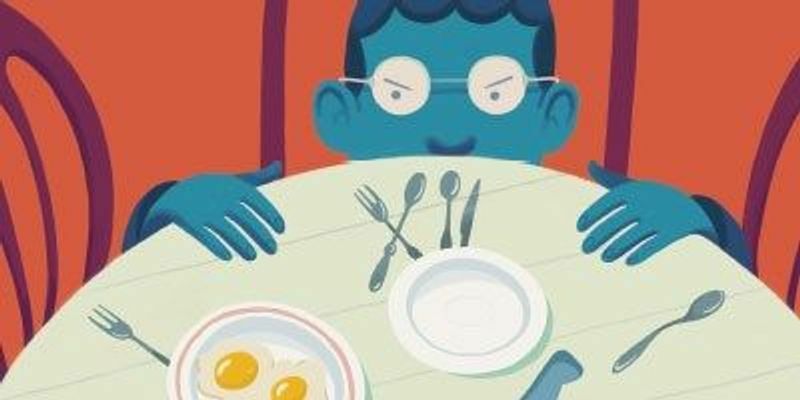 Fasting power: Can going without food really make you healthier? I’m not sure my memory is any the better for the fasts, but - at the worst - I like to think they’re doing me no harm. To date, I’d have to say I’ve benefited from them. It’s a fascinating area, whatever! My latest self-experiment is to stop eating somewhere between 2 and 5 pm and just ingest water until the morning (generally about 14-18 hours of fasting per day). I’ve been doing something similar for the last 2 weeks. I try to only eat in the time between midday and 6pm (6 hour window where I usually eat 2 meals) and the rest of the day I only drink water (at least 3 liters per day if possible). This isn’t really a big change since I never really ate breakfast in the first place, so the only change is to eat dinner earlier. I’ll try this for at least a month to see if it has a positive effect on my (usually too high) blood pressure. I aim for at least 3 liters/quarts of water per day too. (It isn’t precise because water in bottles here sometimes comes in liters, while everything else is in quarts.) I don’t feel thirst in a normal way so the only way I can be sure to drink enough is to measure it. I drink 1-2 quarts in the morning to be sure I don’t leave home dehydrated.